An Entasi stand off frame constructed with high-strength, lightweight 1¼″ anodized 6063-T6 aluminum tubing. Stand off can only be used on front of frame. 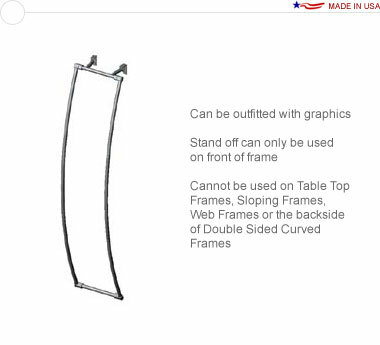 Cannot be used on Tabletop Frames, Sloping Frames, Web Frames, or the back of Double Sided Curved Frames.